This page is currently displaying messages from Male or Female walkers aged between 18 and 80 who are looking for new walking friends for walks in North West England. 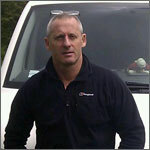 I am a Male Walker, in my late 50s, based near Cardiff hoping to meet both Male and Female new friends to go walking with. When it comes to Scrambling & Edges I'm OK with the occasional edge or scramble but don't go looking for it. I'm happy to walk in all weathers - sunshine, snow, hail, wind & rain - bring it on. I like walking with dogs but do not have one of my own. Sadly, my map reading & navigation skills are pretty hopeless. I can drive and have a car. 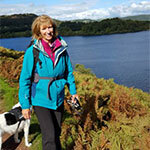 I am a Female Walker, in my mid 60s, based near Barnoldswick hoping to meet both Male and Female new friends to go walking with. 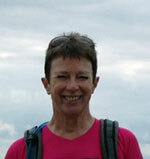 My Message: Hi, I'm a keen walker, now retired so have more time to get out and about. I walk quite regularly with friends but as they are still working this is confined largely to weekends. We've enjoyed tackling many of the long distance paths over the years. I walk a lot on my own too or with my dog but would like to meet a like-minded walking buddy, preferably reasonably nearby. It would be good perhaps to share some Wainwright bagging or explore new areas more or less anywhere in the British Isles or even beyond. There are so many places I still want to see and it would be great to do so in good company. I'd love to hear from you. I can cope with a little bit of scrambling if it is short and there are no steep drops. With regard to the weather, this is the UK so it's going to rain sooner or later isn't it? Fine with me, I've got waterproofs. I like walking with dogs and will bring my own. To be honest, my map reading & navigation skills are a bit averagely average. I can drive and have a car. 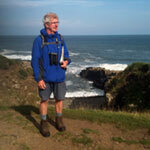 I am a Male Walker, in my early 70s, based near Matlock hoping to meet just Female new friends to go walking with. My Message: Hi, I'm Adrian, single, retired, fit, and keen to meet an active fit female walking companion to explore our beautiful islands, and further afield. I have a camper van to tour and also to use as a mobile base for circular and linear walks, perhaps on long distance national trails. 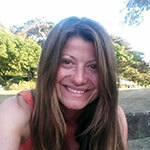 I enjoy all types of walks both short and full day walks and long distance. I have completed a number of classic long distance paths including The Pennine Way and Wainwrights Coast to Coast, but I'm not against doing these again if my companion wished to do them. Not so good on heights these days so I avoid walking on high level narrow ledges. I am a vegetarian who occasionally eats fish, non competitive nature, passionate about our natural world, fun loving, often quirky. 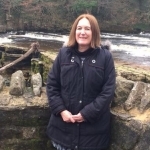 Other interests include camping, cycling, casual nature walks, am NT and RSPB member, conservation volunteering, reading, eclectic taste in music, art cinema, theatre, the arts, wildlife gardening and DIY. Am politically a bit of a lefty. If any of this appeals, please get in touch. When it comes to Scrambling & Edges I'm OK with the occasional edge or scramble but don't go looking for it. I'm happy to walk in all weathers - sunshine, snow, hail, wind & rain - bring it on. I like walking with dogs but do not have one of my own. To be honest, my map reading & navigation skills are a bit averagely average. I can drive and have my own Campervan/Motorhome. 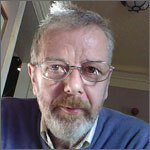 I am a Male Walker, in my early 70s, based near Manchester hoping to meet both Male and Female new friends to go walking with. 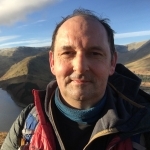 My Message: Hello, I'm David, single, 65 and just retired (summer '12), I live in east Manchester and would like to meet singles or a group to make walking more pleasurable. I'm not that experienced a walker so may have to be gradually more adventurous in my excursions, having said that my last job was very active so I need more than a gentle stroll to the pub! An active stroll to the pub, then, or a tea shop or whatever. My map reading skills are reasonable, I think, and I have a good sense of direction. Anybody reasonably local who would like to join forces with me, please get in touch. Dog owners welcome, though cats preferred! When it comes to Scrambling & Edges I'm OK with the occasional edge or scramble but don't go looking for it. I prefer warm, dry & sunny weather but can cope with the odd shower. I like walking with dogs but do not have one of my own. I'd say my map reading & navigation skills are pretty good. I can drive and have a car. 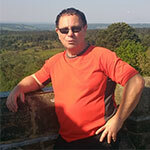 I am a Male Walker, in my late 40s, based near Witney hoping to meet both Male and Female new friends to go walking with. My Message: Love getting out and about. Favourite places are Snowdonia, Cornwall, Devon and the Highlands but happy traveling anywhere. When it comes to Scrambling & Edges I'm OK with the occasional edge or scramble but don't go looking for it. I'm happy to walk in most weathers but do not like snow and ice. I like walking with dogs but do not have one of my own. To be honest, my map reading & navigation skills are a bit averagely average. I don't drive. 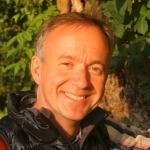 I am a Male Walker, in my late 40s, based near Saffron Walden hoping to meet both Male and Female new friends to go walking with. 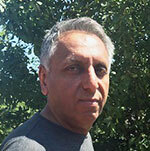 My Message: Mid-40s professional bloke, fairly straight forward, looking for company for walks. I live in Essex, work in Cambridge and grew up in Northumbria. Happy to walk for a short walk round a park but i dream of treks across hills and moors. After a life change last year, i have a bit more time in my life to do what i like to do which is being outdoors. I have re-freshed my camping and walking kit, and i'm getting some miles in. 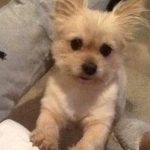 Looking for company, either locally for regular walks, or a bit further afield for longer ones. I can cope with a little bit of scrambling if it is short and there are no steep drops. I'm happy to walk in all weathers - sunshine, snow, hail, wind & rain - bring it on. I'm not bothered about dogs one way or the other. I'd say my map reading & navigation skills are pretty good. I can drive and have a car. 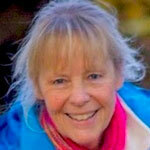 I am a Female Walker, in my late 50s, based near Kendal hoping to meet just Male new friends to go walking with. Born and brought up in Cumbria. Back again after many years away. Travelled widely. USA, Asia, Europe. Climbed a few foreign hills as well as most in Cumbria. Now getting to know Wales and Scotland, while catching up with friends and fellow walkers. Really love the hills and mountains anywhere, but Cumbria and Dales are very local to me. Had my ML assessment in a couple of years ago and now manage to pick up some professional walk. Being paid for what I love. What could be better! Love to 'talk and walk' so good companion also essential and someone who is not too worried if I stop to take photos.  Reasonably read, literate, enjoy the arts and eco-friendly, if you think you would enjoy my company would love to hear from you. I quite enjoy Scrambling & Edges but don't like too much exposure. I'm happy to walk in all weathers - sunshine, snow, hail, wind & rain - bring it on. I'm not bothered about dogs one way or the other. Even if I say so myself, I consider my map reading & navigation skills to be excellent. I can drive and have a car. 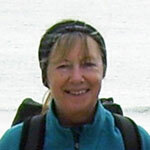 I am a Female Walker, in my early 50s, based near Cockermouth hoping to meet both Male and Female new friends to go walking with. I'm fairly new to Cumbria -having recently moved to the area - after many years ambition to do so! 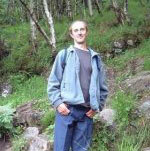 So, primarily looking for male/female friends 'into the outdoors' - mainly fell walking/scrambling and Munro bagging. In the main, I walk with my best friend and very fit ESS (English Springer Spaniel.) So, you must like dogs and be fit! I now have all the Wainwrights 'in the bag' but require a bigger bag for the Munros with still over 184 to complete. 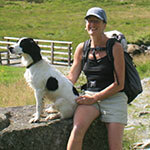 This requires more travelling over the border and would prefer to do with an affable and experienced walking partner. HA! If you are up for that - good news! I have recently started camping again - and would welcome the opportunity to wild camp. I have travelled extensively and trekked in many parts of the world - but always the UK I return to - and love. I quite enjoy Scrambling & Edges but don't like too much exposure. 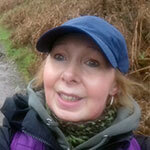 I'm happy to walk in all weathers - sunshine, snow, hail, wind & rain - bring it on. I like walking with dogs and will bring my own. I'd say my map reading & navigation skills are pretty good. I can drive and have a car.